Put in your preorders TODAY. This limited time offer ends on February 10. We have to reach our minimum of 10 shirts sold altogether in order for them to be printed. If we do not reach our goal you will not be charged for the preorder. Wearing this will let everyone know that your valentine is yours and only yours…NO SHARING. Buy this if you have someone in your life who you never want to let go of and display your feelings for them. The design is also available in Hoodie, long sleeve, relaxed fit women and slim fit women. Put in your preorders TODAY. This limited time offer ends on January 27. We do this so the T-shirt will have time to be printed and reach you before Valentines Day. We have to reach our minimum of 15 shirts sold altogether in order for them to be printed. If we do not reach our goal you will not be charged for the preorder. If you like the design please Pin us on Pinterest, Share us on Facebook and Tweet about us on Twitter. Also browse the rest of our site for more interesting T-shirts and blog posts. I’M A LEO T-SHIRT IS FOR ANYONE WHOSE ZODIAC SIGN IS THE LION. This shirt is only available until January 30th 2014. This is for all the ladies who know they have a million dollar cat and they aren’t ashamed to say it. This shirt is only available until January 29th 2014. Be sure to browse our site for more interesting T-shirts and blog posts. Please share our site on social media if you like. The Internet has blossomed from a luxary to a necessity. We have any information whether its related to a subject or you are just trying to remember a person in a movie at our fingertips. In the past few years the type of computing devices have grown so now there are tablets and cell phones that allow us access to the internet. These devices are relatively safe at the moment because there are not really much known attacks on them. It is something to keep in mind because eventually the day will come. Microsoft Windows is much more popular than the Mac and this is why most viruses are made to work on Windows. The first way you can get a virus is by some input device that can store data. These devices can include a CD, DVD, SD card or flash drive. These devices can store the virus or pick them up from other computers and spread them. A next way that you can get viruses is through your email attachments. They sometime are not what they seem and instead of something good clicking them will start the virus. The other way is certain websites have viruses on them and clicking on certain links on the site can cause installation of the virus. 1. 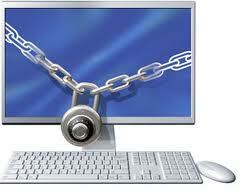 Antivirus is an important tool to help protect you from viruses. There is a popular saying that you get what you pay for. Well there are both free and paid versions of antiviruses. Microsoft Security Essential or Windows Defender as it may be called in Windows 8 is a good free one and AVG free antivirus is very good. AVG seems to be a little better than Microsoft but may slow down your computer a little bit depending on the amount of memory you have. NOD32 and Kaspersky are two very good paid for Antivirus services. It is important to remember that even with an antivirus you still have to take precautions. There is a program called USB disk security that will detect alot of flash drives viruses and this is also free. 2. Being careful with email is important to protect yourself online. The first thing to do is to try an avoid opening attachments entirely because this is one of the main reasons people get viruses from emails. If you have to open an attachment try and get confirmation from the person who sent it. Also another way you can get viruses is by clicking a link that either carries you to a site that has a virus or its a link to install the virus. They usually get your attention by using a catchy title like “Look what you did last weekend”. You might have not done anything but the curiosity will make you click it. 3. Backing up your data is important when it comes to your computer. Backing up will not prevent a virus but what it does do is store your important files somewhere else so if you are infected with a virus. Most Windows computers now come with a built in restore. Using this restore will erase all of the files and restore your PC to the state it was in when you got it out of the box. Using this method would remove any virus that is giving you a problem but you will need the backup to restore your personal files afterward.